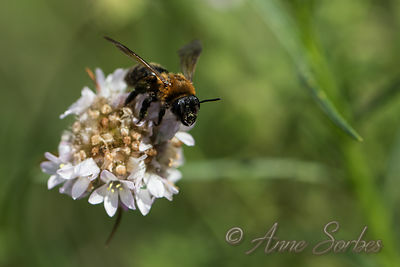 Cliff mining bee female resting on a lady's cushion in bloom in a meadow. Catalan Pyrenees, France. 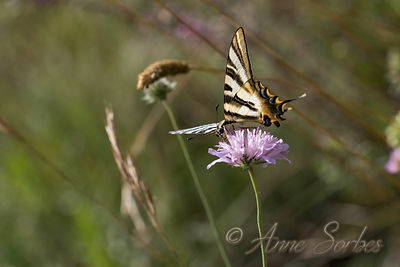 Southern Swallowtail gathering nectar of a scabious flower. Catalan Pyrenees, France. 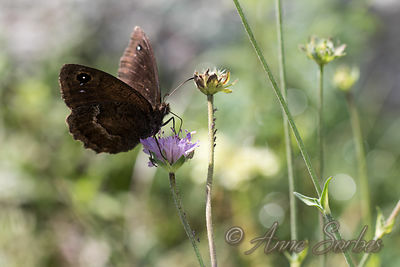 Great Sooty Satyr male gathering nectar of a scabious flower. Catalan Pyrenees, France. 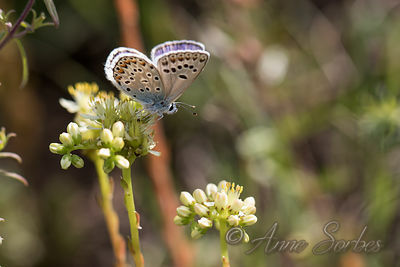 Escher's Blue male resting on a stonecrop in bloom. Catalan Pyrenees, France. 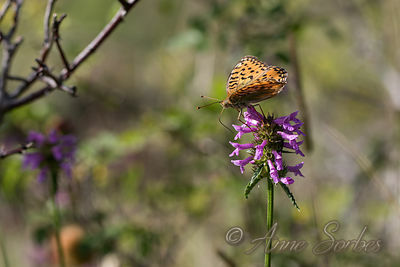 Dark Green Fritillary female gathering nectar of a betony flower in a meadow. Catalan Pyrenees, France. 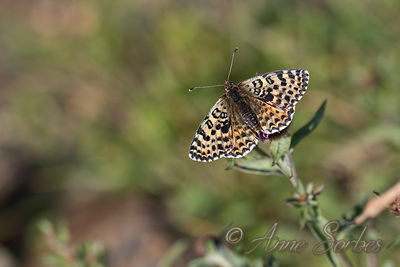 Dark Green Fritillary female gathering nectar of carnations in bloom in a meadow. Catalan Pyrenees, France. 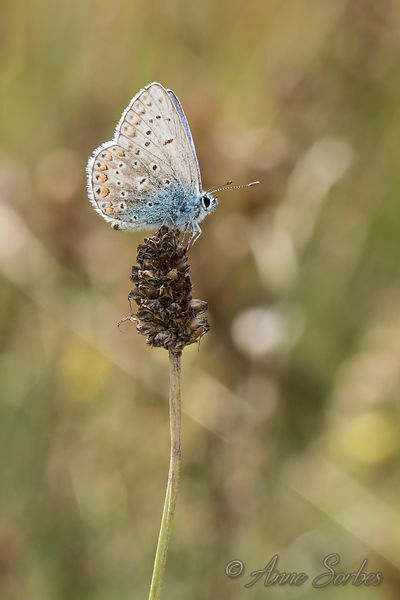 Dark Green Fritillary female resting on a betony flower in a meadow. Catalan Pyrenees, France. 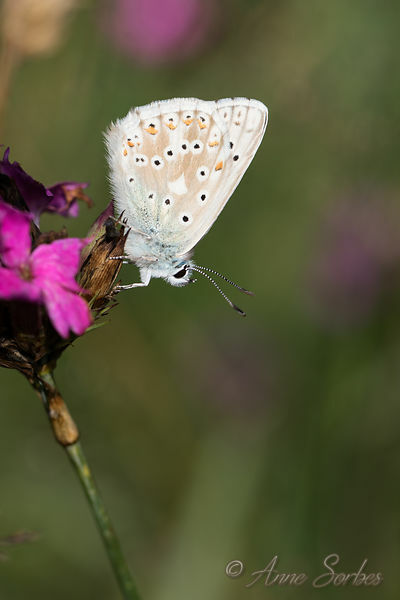 Chalkhill Blue (Lysandra hispana or coridon) male resting on a carnation in bloom in a meadow. Catalan Pyrenees, France. 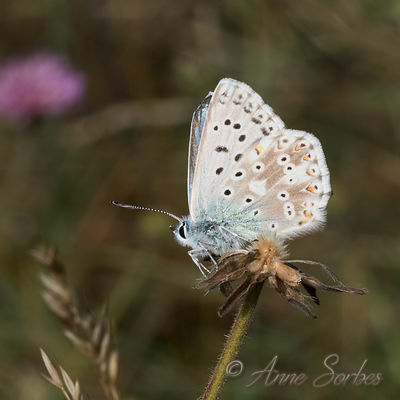 Chalkhill Blue (Lysandra hispana ou coridon) male resting in a meadow.Catalan Pyrenees, France. 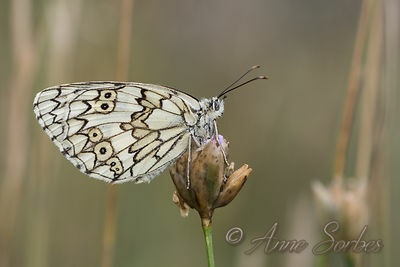 Escher's Blue female resting in a meadow. Catalan Pyrenees, France. 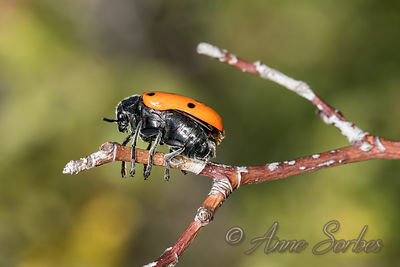 Leaf Beetle resting on a shrub. Catalan Pyrenees, France. 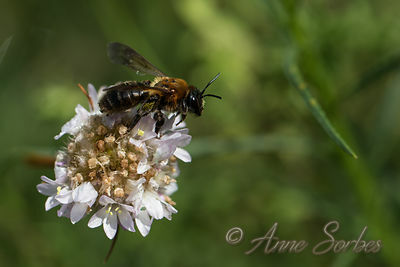 The adult lives in trees while the larvae confused with plants by ants are introduced by it in the anthill. 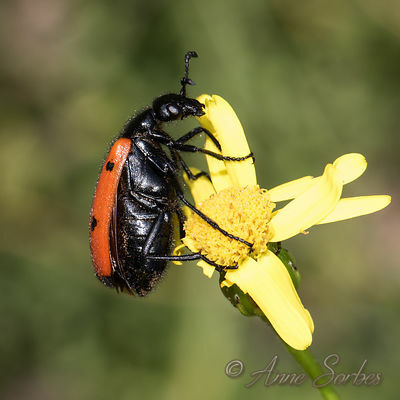 The larvae then produce a scabbard with waste and excrement and feed on debris and brood. 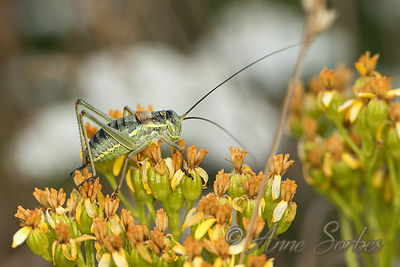 After the last molt, they discreetly out of the nest to fly to the trees. 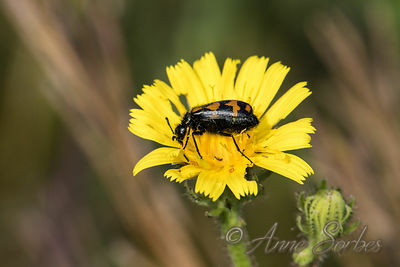 A Blister Beetle eating a Asteraceae flower in a meadow. Catalan Pyrenees, France. 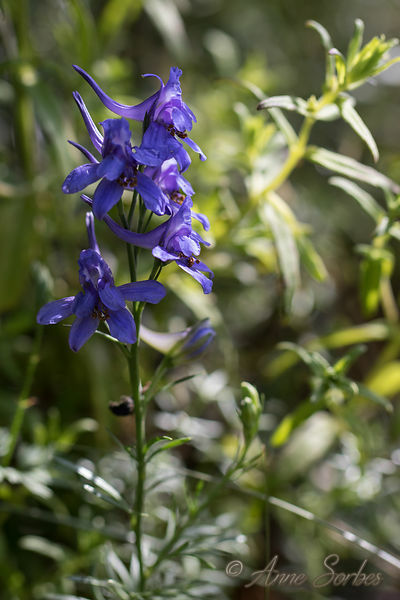 Larkspur in bloom in a meadow. Catalan Pyrenees, France. 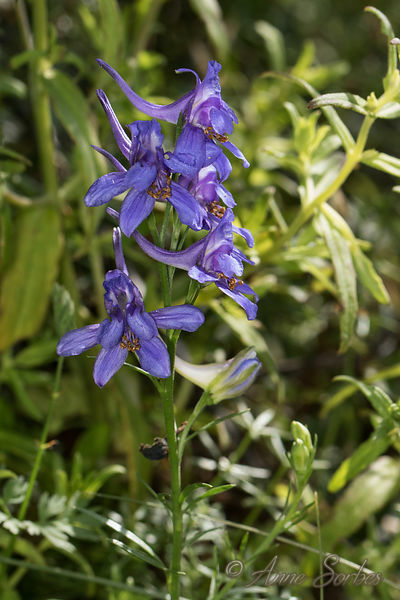 Plant species protected at national level. 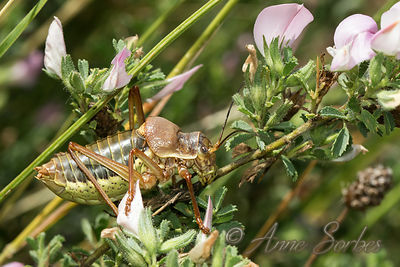 Saddle-backed Bush Cricket male resting in a mountain grassland. Catalan Pyrenees, France. 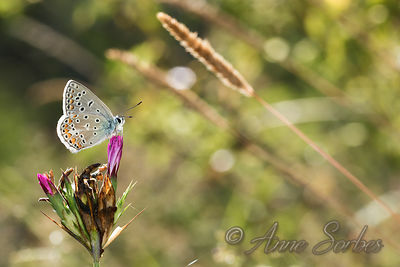 Common Blue male resting in a mountain grassland. Catalan Pyrenees, France. 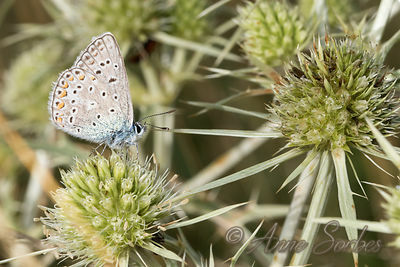 Common Blue male gathering nectar of a fielf eryngo, in a mountain grassland. Catalan Pyrenees, France. 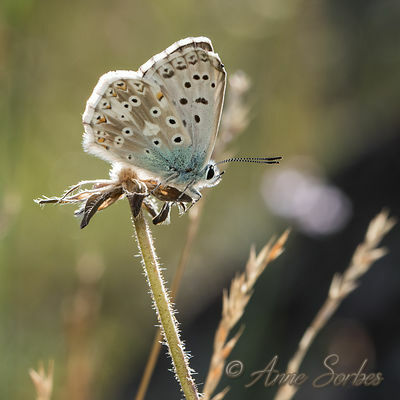 Polyommatus icarus - Eristalis sp. 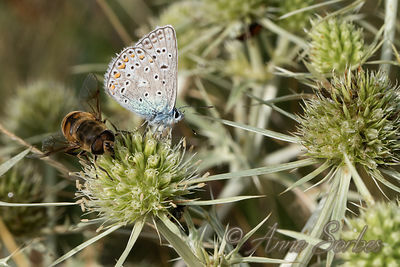 Common Blue male gathering nectar, in the company of an hoverfly, of a fielf eryngo, in a mountain grassland. Catalan Pyrenees, France. 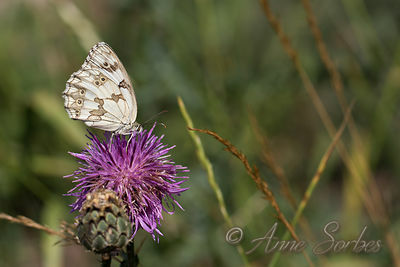 Iberian marbled gathering nectar of a Greater knapweed flower in a meadow. Catalan Pyrenees, France. 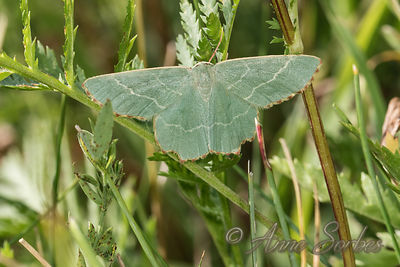 Common emerald resting in a meadow. Catalan Pyrenees, France. 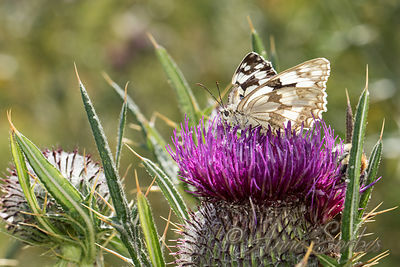 Iberian marbled resting on a thistle flower in a meadow. Catalan Pyrenees, France. 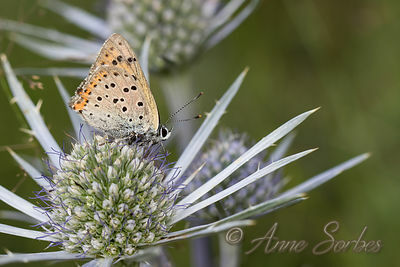 Purple-Shot Copper male resting on a Pyrenean eryngo. Catalan Pyrenees, France. 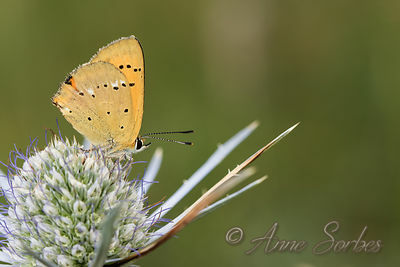 Scarce Copper male resting on a Pyrenean eryngo. Catalan Pyrenees, France. 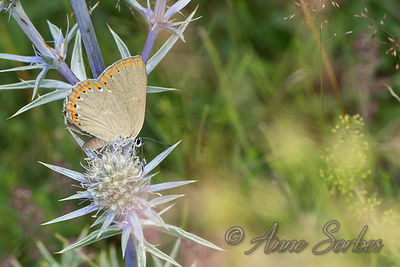 Spanish purple hairstreak gathering nectar on a Pyrenean Eryngo flower. Catalan Pyrenees, France. 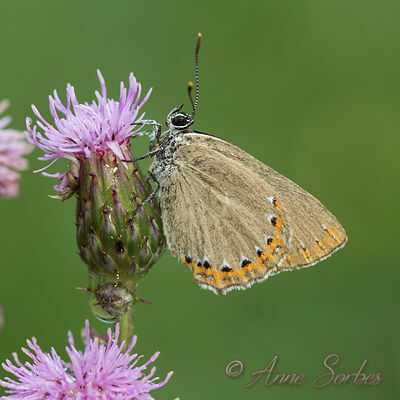 Spanish purple hairstreak resting on a creeping thistle flower. Catalan Pyrenees, France. 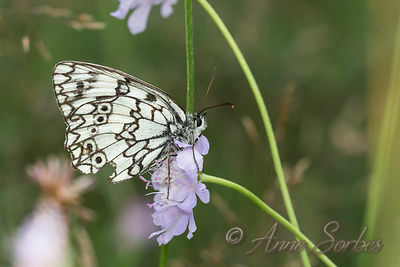 Esper's marbled white male resting on a scabious flower in a meadow. Catalan Pyrenees, France. 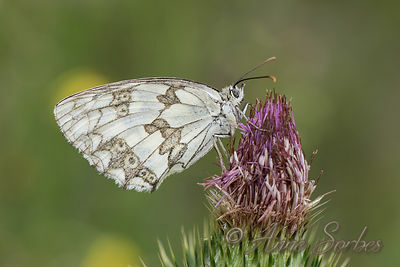 Esper's marbled white female resting in a meadow. Catalan Pyrenees, France. 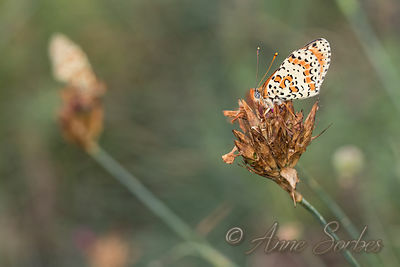 Iberian marbled resting on a flower in a meadow. Pyrénées Orientales, France. 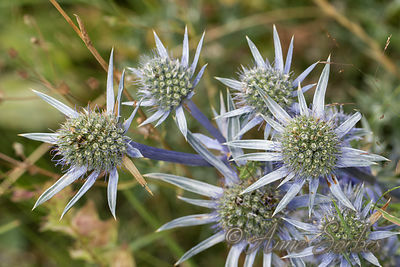 Pyrenean Eryngo in bloom at the edge of a path. Catalan Pyrenees, France. 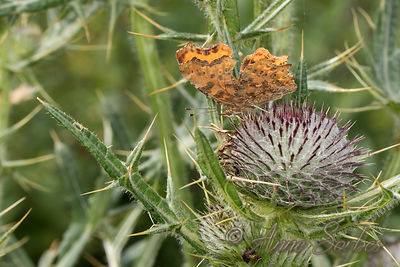 Comma butterfly gathering nectar of a woolly thistle. Catalan Pyrenees, France. 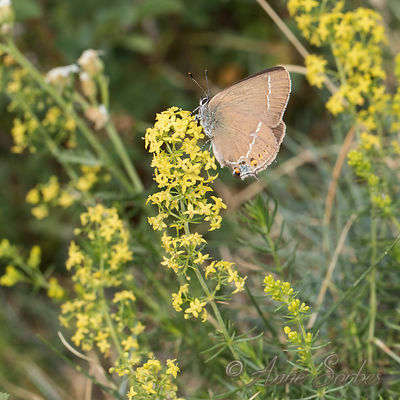 Blue Spot Hairstreak resting on lady's bedstraw flowers. Catalan Pyrenees, France. 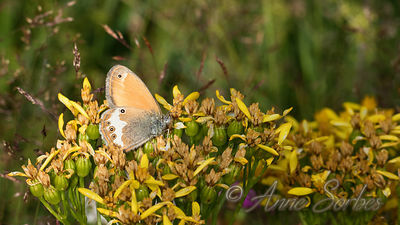 Pearly Heath resting at the edge of a path. Catalan Pyrenees, France. 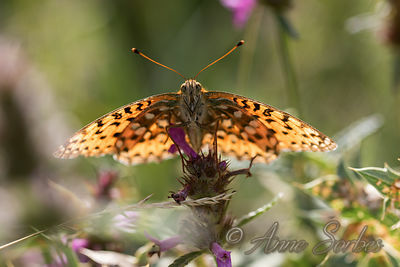 Spotted Fritillary resting at the edge of a path. Catalan Pyrenees, France. Thècle du frêne posé sur une achillée millefeuille. 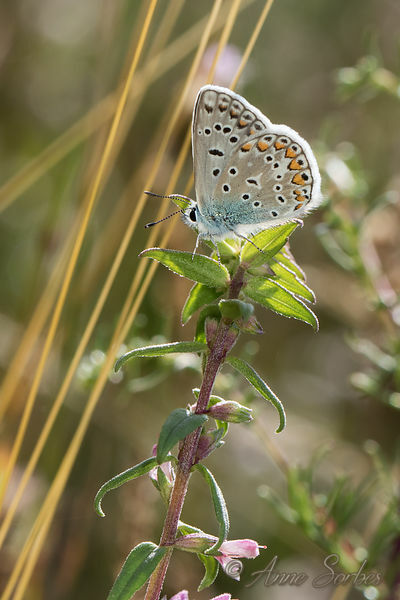 Parc Naturel Régional des Pyrénées Catalanes. 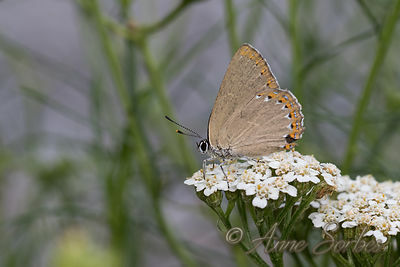 Aconit napel en fleur au bord d'un chemin. 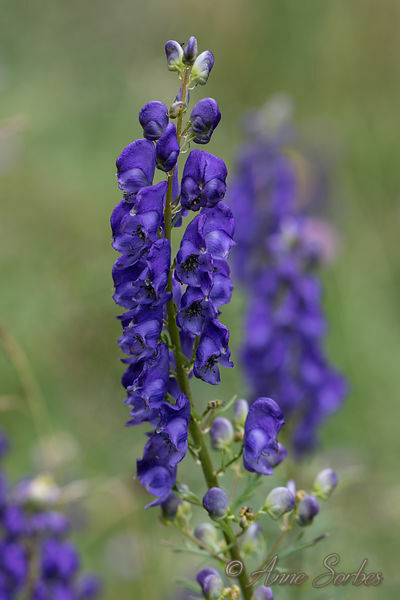 Plateau du Capcir, Pyrénées Orientales...Monkshood in bloom at the edge of a path. Plateau of Capcir, Pyrenees. 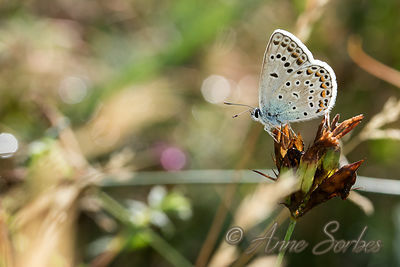 Common blue male resting at the edge of a path. Plateau of Capcir, Pyrenees. 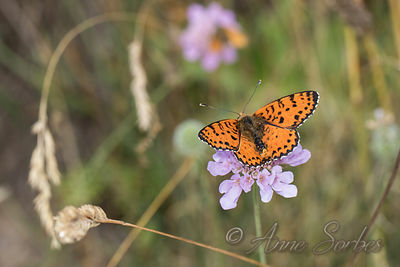 Spotted Fritillary male gathering nectar a scabious flower at the edge of a path. Plateau of Capcir, Pyrenees. 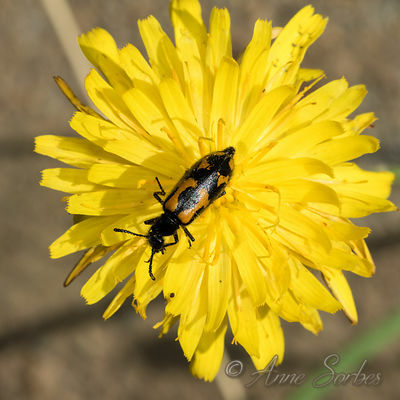 Blister beetle tasting an asteraceae at the edge of a road in the Pyrenees. Pass Pailhère, Aude, France. 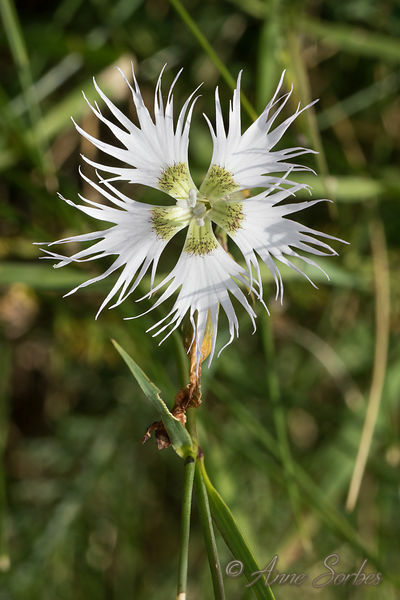 Fringed Pink blooming at the edge of a road in the Pyrenees. Pass Pailhère, Aude, France. 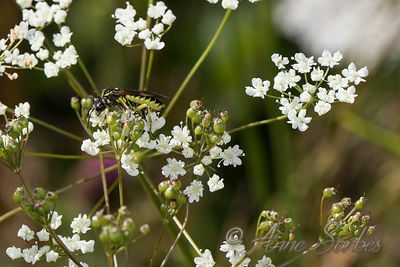 A sawfly gathering nectar of an umbellifer at the edge of a road in the Pyrenees. Pass Pailhère, Aude, France. 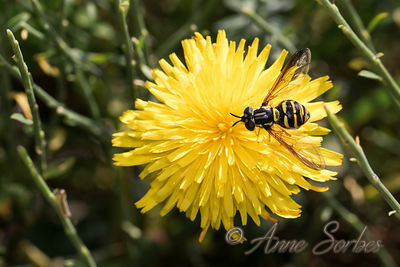 Chrysotoxum female gathering nectar of an asteraceae at the edge of a road in the Pyrenees. Pass Pailhère, Aude, France. 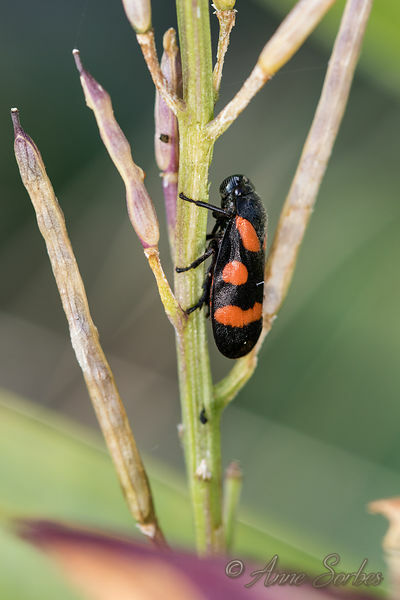 Froghopper resting in the vegetation at the edge of a mountain road. Pass Pailhère, Aude, France. 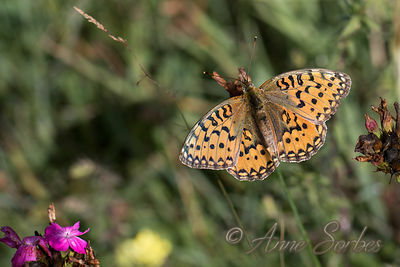 Spotted Fritillary female gathering nectar of a knapweed flower. Mountain pass of Pailhère, Aude, France.